We have been having fun with these little Pinnochios this week in our Sprouts classes. 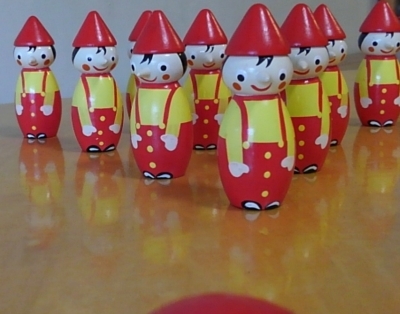 Great for practicing, 'Here you are','Thank you' when we pass the ball, and of course for counting the number of Pinnochios knocked down! 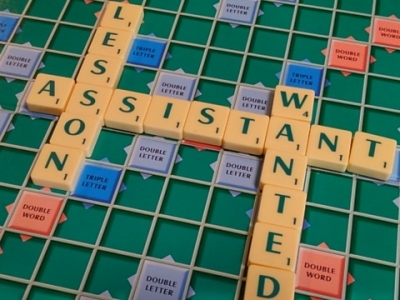 Thank you to English Navi or in Japanese, 英会話ナビ, for listing englishpool on their portal site. As Tesco would say, "every little helps" or in Japanese "どんな小さなものでも役に立つ"
Can also be found on the englishpool YouTube Channel. With more and more course content avaialble online rather than on CDs we are testing a YouTube channel. The idea is that students will be able to go to the YouTube channel to watch and listen to the songs and chants used in class. My students really don't want me to win! 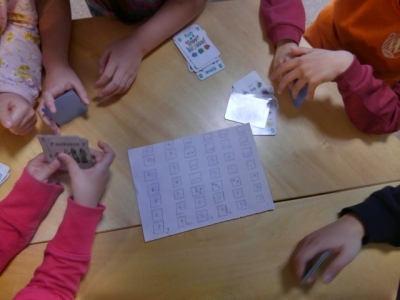 In the Saturday morning elementary B class we have a regular habit of starting the lessons with a 'quick' game of AGO, and usually one of the students will set the cards so I can't possibly win. This reached new heights last week when I discovered they had created a plan, on paper, of which cards each player should start with in order for Paul to lose everytime! ...oh, and by the way they think I set the timer for 10 minutes but actually it's only 8 minutes! I was excited to receive this new game from our textbook suppliers, englishbooks.jp, yesterday. 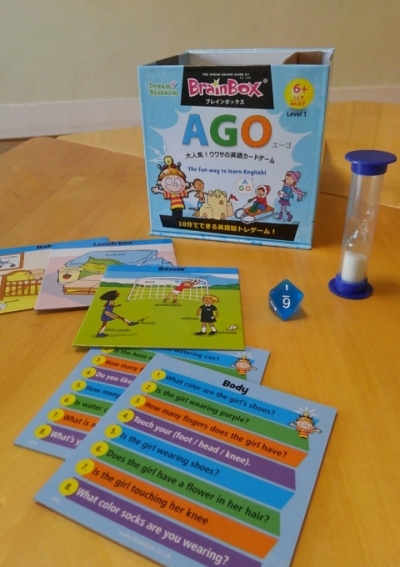 It's called BrainBox AGO and is a collaboration between the makers of BrainBox, Green Board Games in the UK and the makers of AGO here in Japan. I'd never seen the BrainBox range of games until now, but the game revolves around a box of cards featuring a content rich picture on one side, and a list of eight related questions on the other. The idea is to spend 10 seconds! looking at the picture, then roll the eight sided dice to determine which question you should answer. First impressions with my elementary students have been very favourable, even though they've complained that the time limit of 10 seconds is way too short! Looking forward to playing it in ore classes next week. 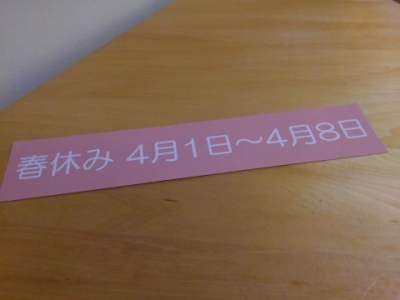 As we approach the new school year, starting in April, I've changed the cover of our pamphlets, or chirashi. Out with the photographs of the classroom, and in with an eye catching image of a red double-decker bus. 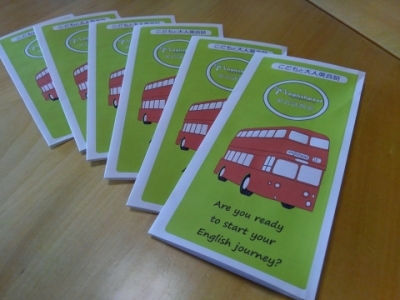 I've also added the tag line is "Are you ready to start your English journey?" So far the reaction has been very positive. The above photo shows the results, we have a clover, a mother and baby fox, a paper bag and a crane. 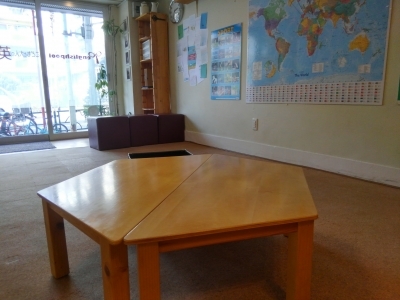 The whole activity was very calm and we managed to use a lot of English while doing it. Sure beats using my normal game type warm-up which can descend into fight of who is winning and losing. 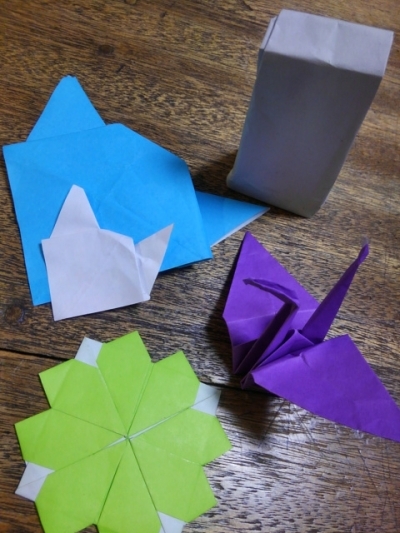 Oh and one question from this activity "What's origami in English?" Towards the end of last year students in our Elementary B classes worked on writing letters to exchange through the Cambridge Penfriends system. We were matched with the Busy Bee Centre for Foreign Languages in Novi Sad, Serbia, and agreed to base the topic around sports. Busy Bee decided to actually post their letters to us (rather than scan and e-mail them) so it was a huge surprise when we opened the package from Serbia. 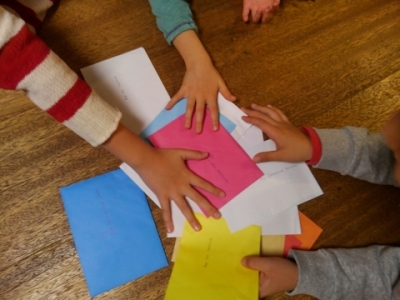 Inside were twelve beautifully written letters, all in their own envelopes and with some of them containing little gifts of stickers, balloons and other items. It was such a pleasure to see the efforts the children in Serbia went to, that the next time we swap letters we might have to raise the bar on our won efforts! 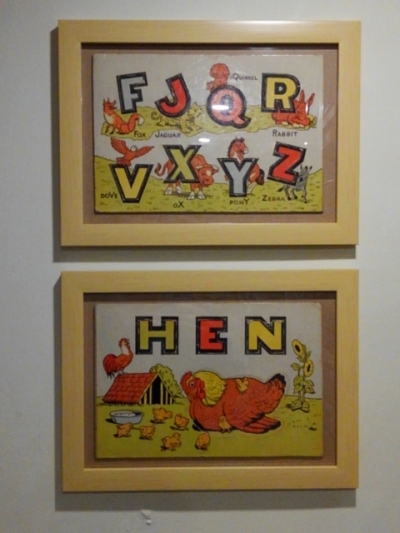 I have posted the letters our children sent to Serbia over on the gallery page, enjoy!